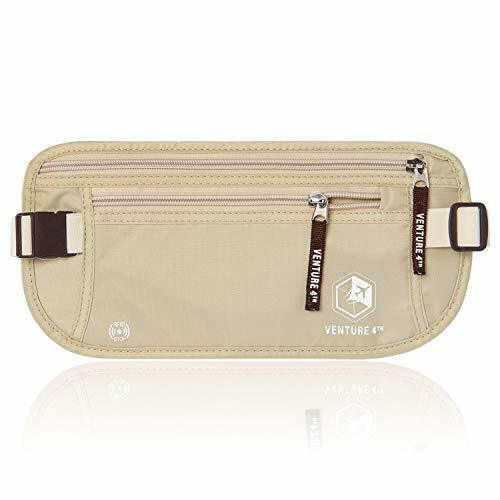 Venture 4th specialize in making a range of cost-friendly, well designed travel accessories. 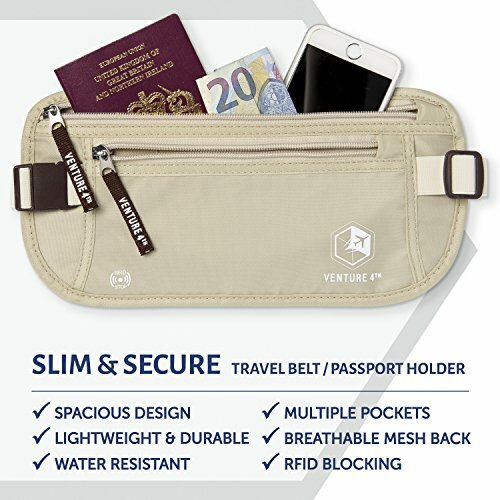 How Does The Venture 4th RFID Safe Money Belt Hidden Waist Stash Stack Up? 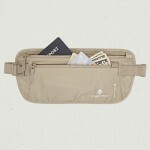 First and foremost, if you’re looking for a money belt with a little more room – this is it. 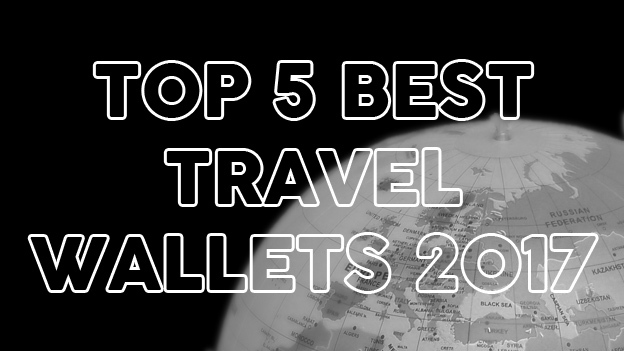 The wallet size is a little bigger than most of the other money belts I’ve reviewed and certainly just as thin. 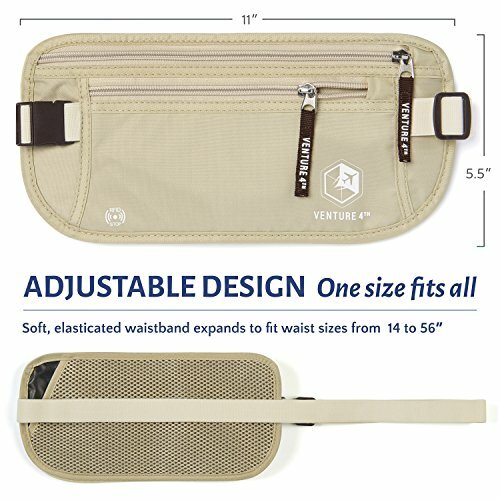 The design of the belt doesn’t stray from the norm with 1 smaller zippered compartment at the front (ideal for cash) and a bigger one behind it for everything else. 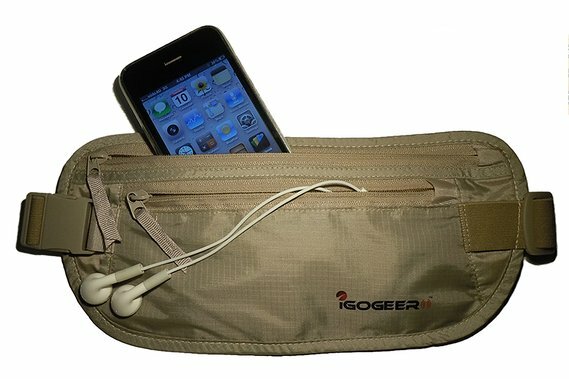 The zippers are quite close to each other which can be a little confusing at first, mistaking one pocket for the other. 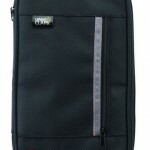 The main compartment is partitioned by a mesh lining. 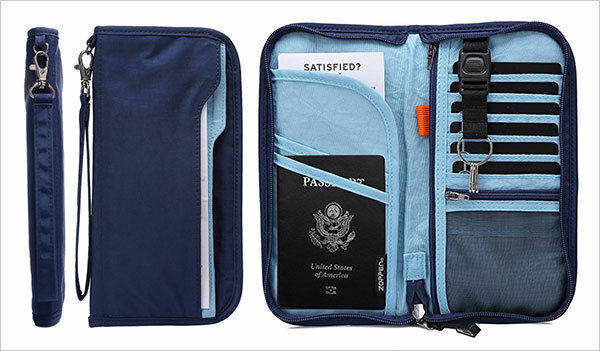 You can put credit cards, ID and smaller items in the mesh section and your passport/smartphone in the other. 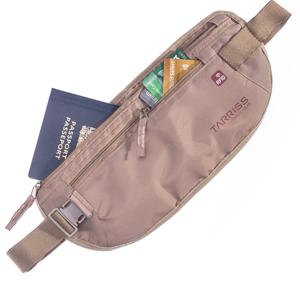 The design of the strap is similar to that of the Eagle Creek, where the straps attach to the front pocket area of the wallet. 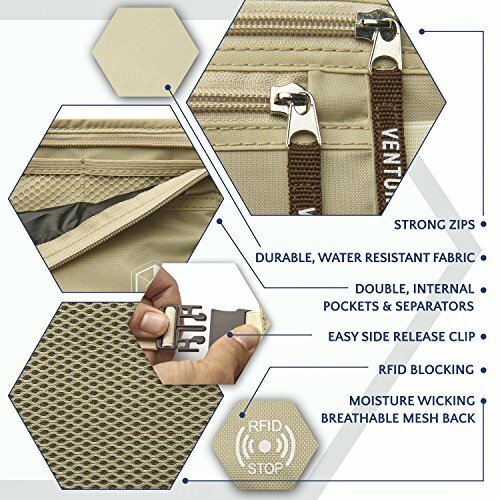 I love the Venture 4th zips. 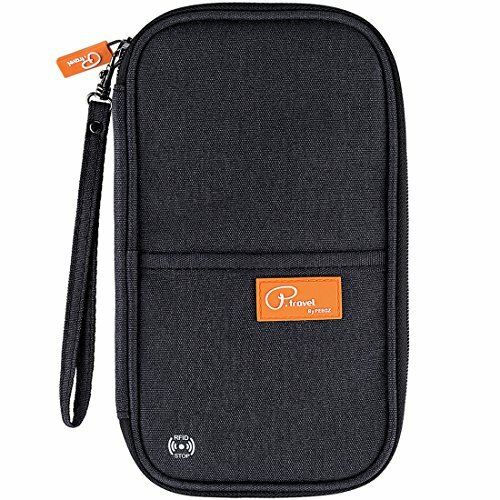 They are easy to use and smooth to zip up and down. 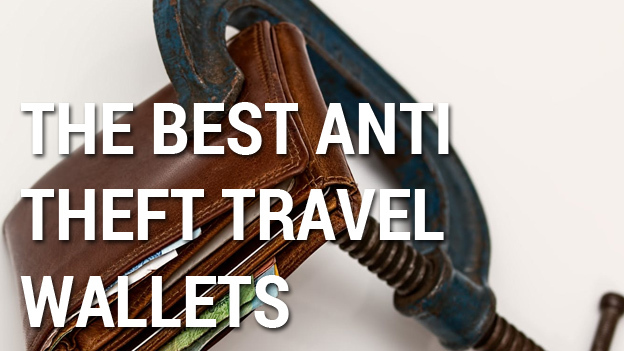 This hasn’t been the case with a few customers though with a few reports of clunky, broken zippers on some units. 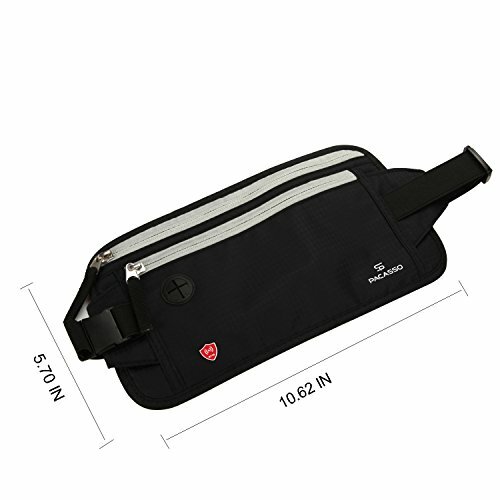 The wallet is double-stitched all the way around to provide added durability and the strap is fully adjustable, elastic and fits up to a 56 inch waist. 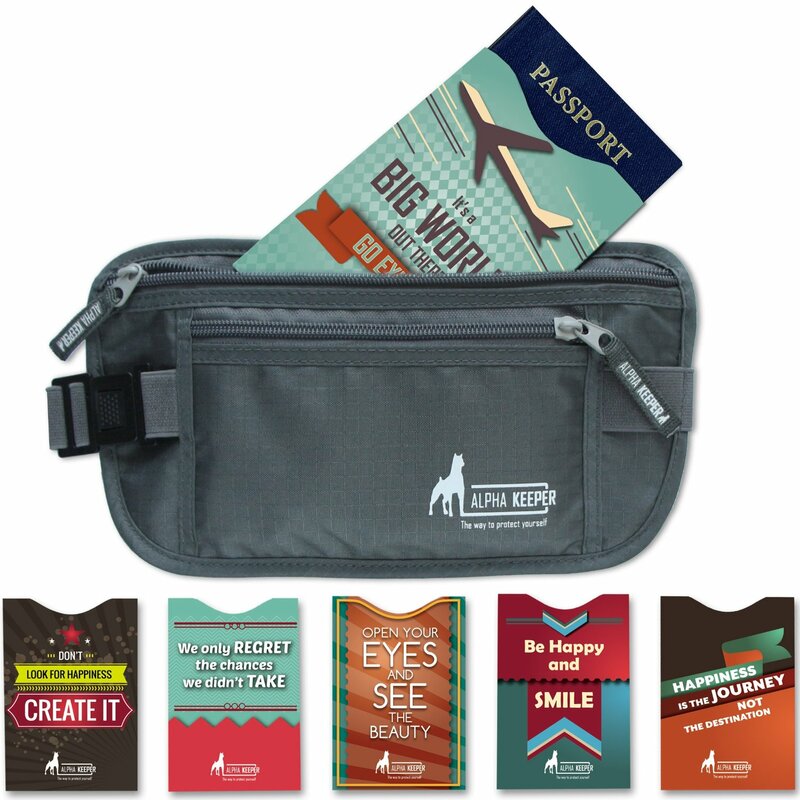 The back of the Venture 4th RFID Safe Money Belt Hidden Waist Stash is a nylon mesh and provides a third pocket to stash your strap or cables. 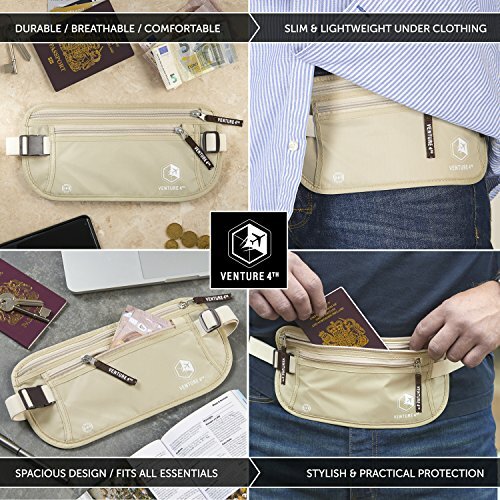 This is a fantastic idea and provides even more capacity for this money belt. 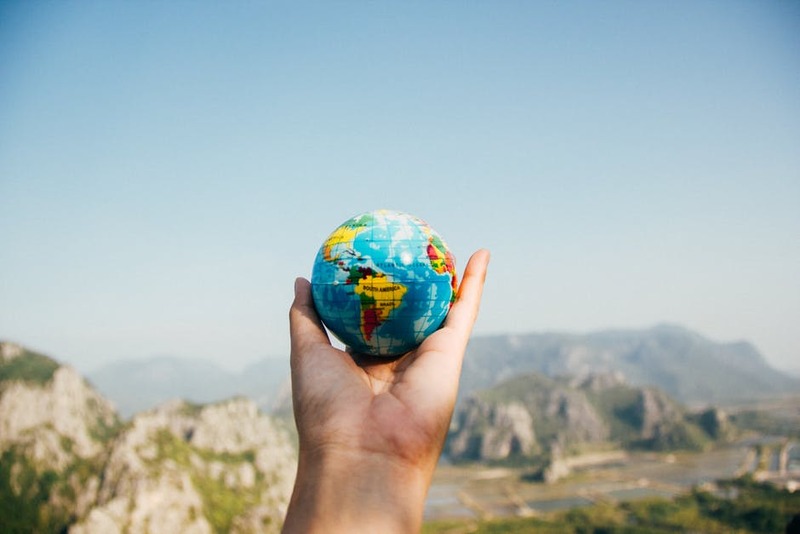 Some people might find the mesh a little scratchy and uncomfortable but it seems okay to me. 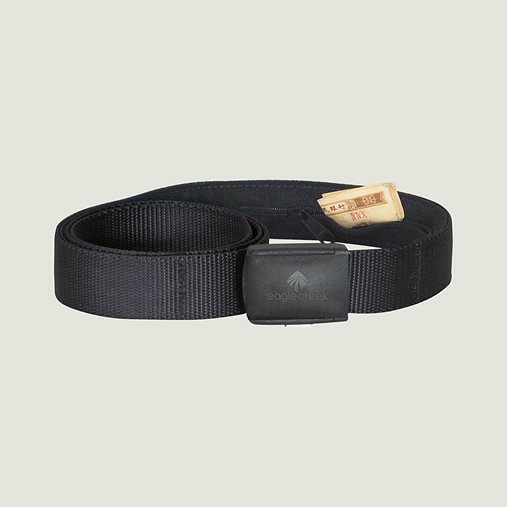 The nylon is super strong 210D ripstop which is pretty much industry standard for money belts of quality. 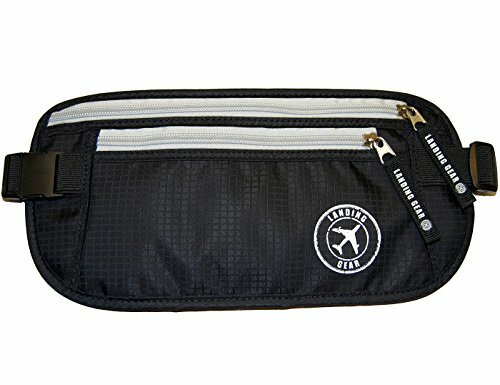 People have commented that the nylon is a little loud when moving around and it does get a little sweaty in warmer climates. 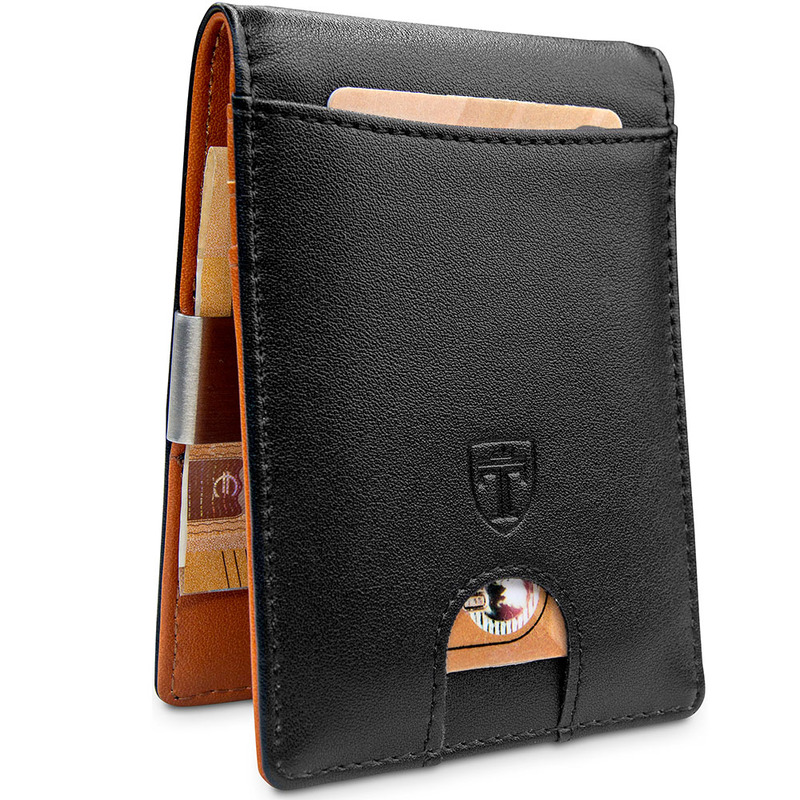 With that said, the product looks great, feels thin and durable and does what it says it should. 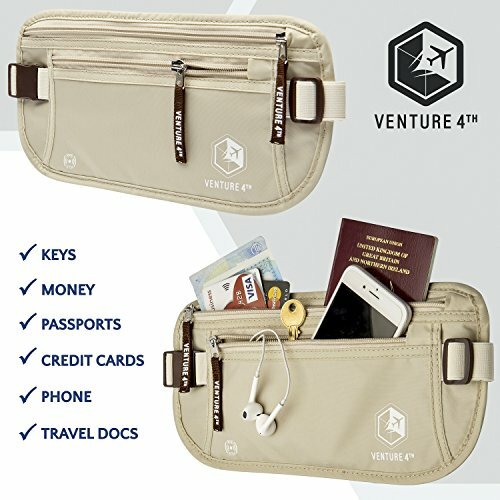 It’s RFID protected and backed by a 1 year 100% satisfaction guarantee and Venture 4th are well known for their customer service. 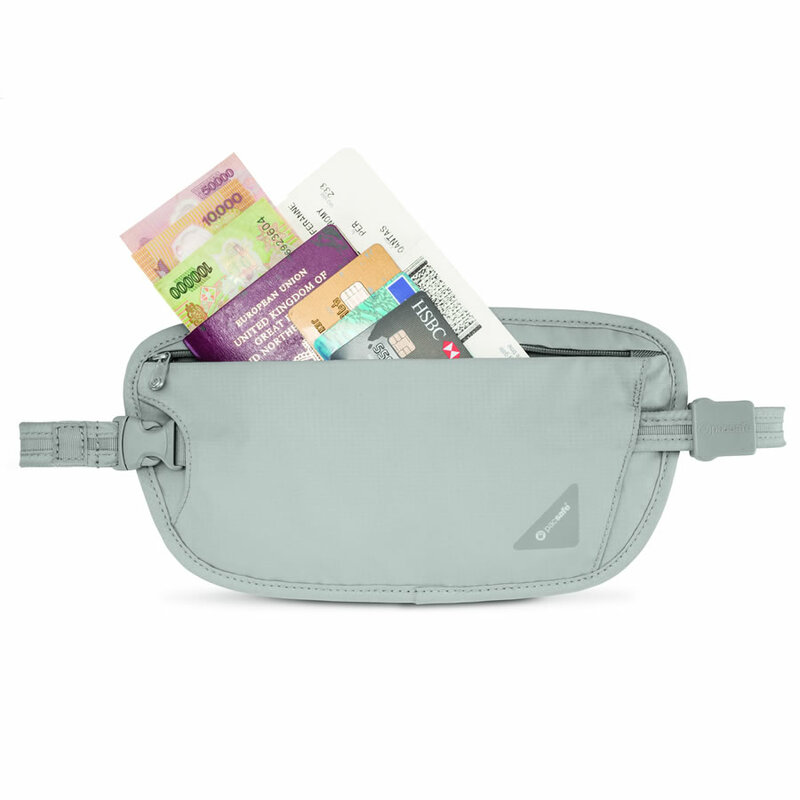 It’s also priced really well, being one of the cheapest Money Belts I’ve reviewed. 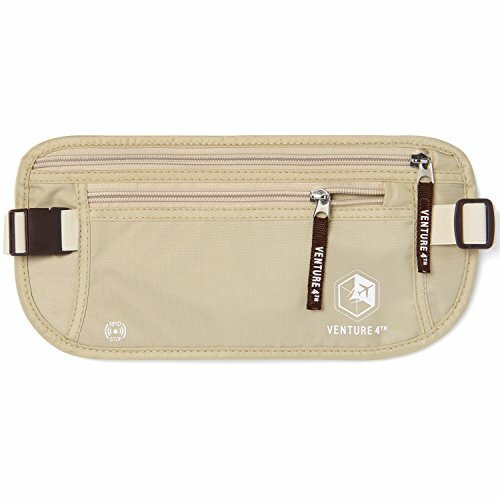 Slightly larger than its brethren, the Venture 4th Money Belt offers some nice features for it's sale price. 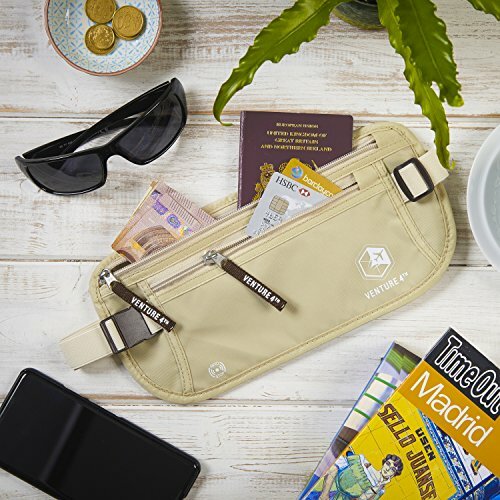 Coming in a range of colors and backed by a 1 year guarantee, it's a smart buy for avid travelers.